KEY TECHNOLOGIES: The sole slot contributes to additional flex -- and ball speed -- low on the face. 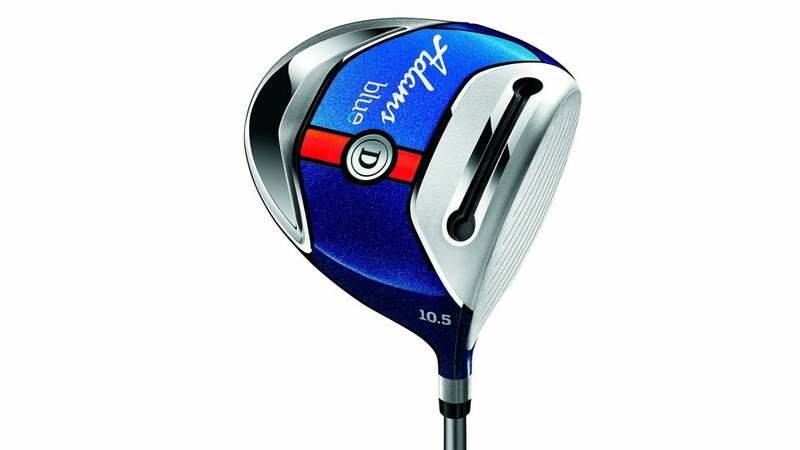 DISTANCE: The Blue is among the longest-carrying on solid hits, with a good deal of roll, to boot; ideal launch and spin numbers for a handful of testers; even on heel and toe contact, ample distance sets you up nicely for the next shot. ACCURACY/FORGIVENESS: The Blue hits the fairway time after time; misses typically fly on an acceptable trajectory and without much sidespin. FEEL: Stable throughout the swing with little to no twisting; loud pinging sound dominates impact; light weight makes it easy to swing. PLAYABILITY: Testers experience a medium-high, repeatable draw despite the fact that you can't adjust the loft here. LOOK: Even purists approve of the sleek, metallic blue crown; a contrasting red alignment mark and white lines on the face make setup simple and precise; the signature speed slot on the sole gives testers confidence that it will deliver hot results. For some testers, the lighter-weight club makes it difficult to achieve consistent swings; impact feels a little hollow; not adjustable -- if the launch and spin numbers aren't perfect off the rack, there's not much you can do. BOTTOM LINE: A carryover model from 2015, the Adams Blue driver is an attractive-looking option for higher-handicappers who prefer a lighter feel and a strong draw bias. The new Adams Blue driver and fairway woods feature Adams' Easy Launch System, which is made up of three features that help get the ball airborne more easily. The first part of the system is a Velocity Slot in the sole of the clubhead for more face flex and ball speed. This feature, which has been included in a number of past Adams clubs, also produces more consistent ball speed across the entire clubface for enhanced forgiveness on off-center hits.